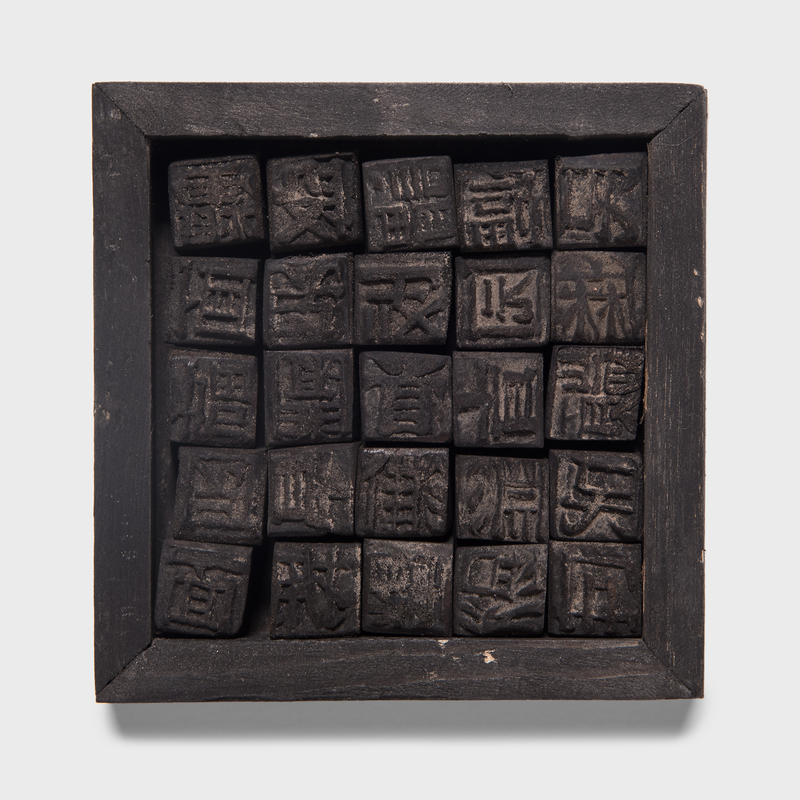 W: 5.25" D: 11.0" H: 9.5"
This pair of silver inlaid iron stirrups was made in Japan over two hundred years ago. 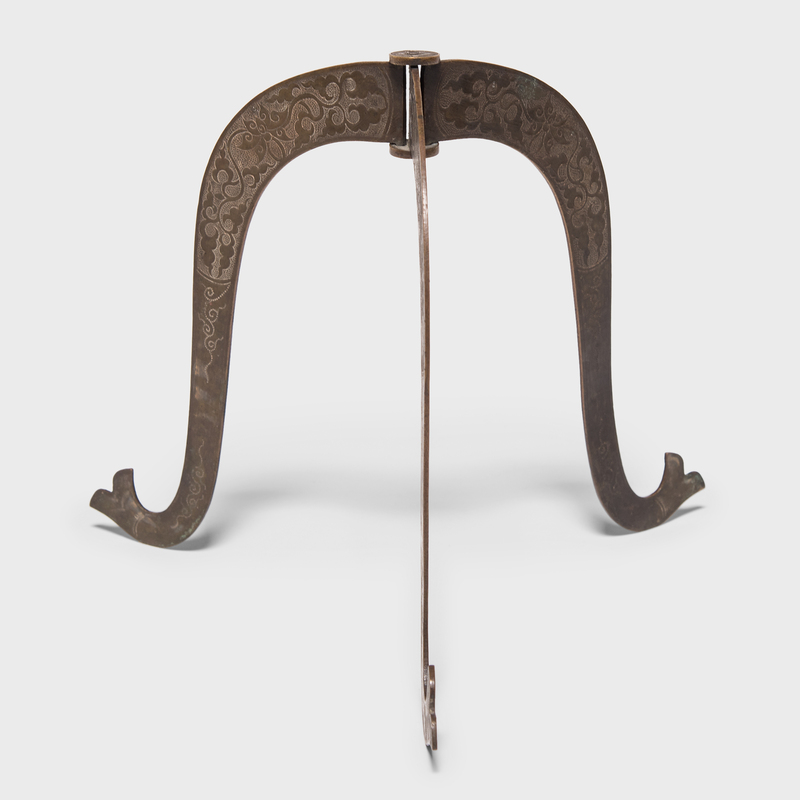 Stirrups (called abumi) were used in Japan as early as the 5th century; the open sides were designed to keep the rider from catching their foot and being dragged. 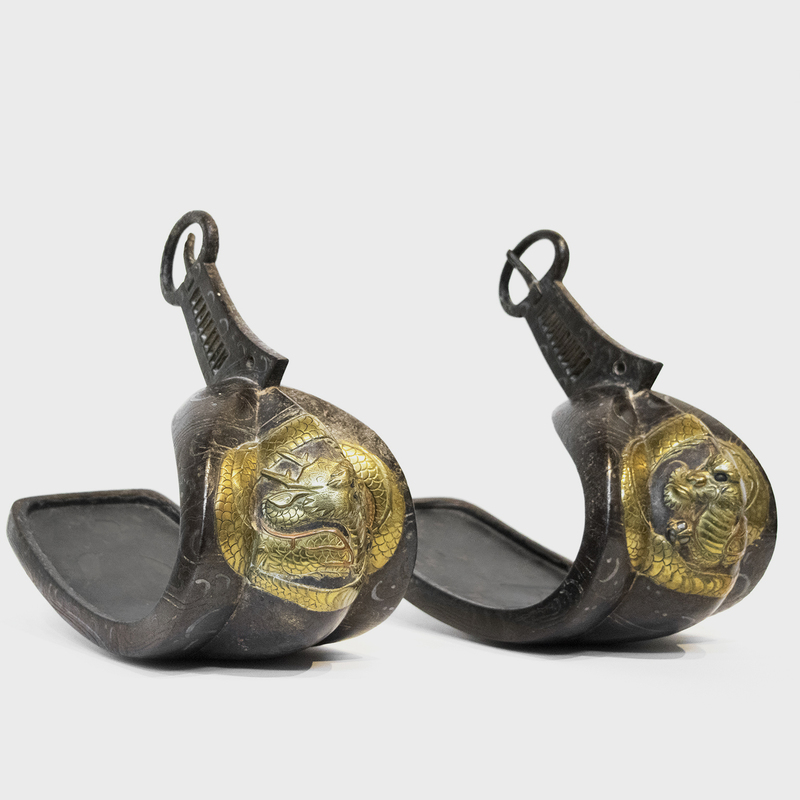 These handsome stirrups are inlaid with silver, bronze, iron, and decorated with gold dragons fiercely grasping flaming pearls.